Anna Faris will not be returning for “Scary Movie 5”. Weinstein Company and Dimension Films are now in pre-production on “Scary Movie 5” after a two year wait. The casting directors have sent out casting calls for several lead roles that require dance skills as well as the ability to play comedy in a grounded dramatic style. Other roles for non-dancers of various ages are also being cast. Extras will be hired in both Los Angeles and Vancouver, where shooting will take place beginning June 15, 2012. Among Disney Channel movies to be cast is Ashley Tisdale‘s “Adventure Quest”. Disney Channel and Disney XD are searching for talent ages 9-18 years for possible upcoming projects. The casting directors are looking for male and female talent of any ethnicity and dialect. In addition to acting talent, they will be looking for those with strong singing, dancing, and athletic abilities of any type. They will consider all talent, both experienced and inexperienced with these particular skill sets. Also welcome are newcomers that have done Community Theatre, Acting workshops, etc. 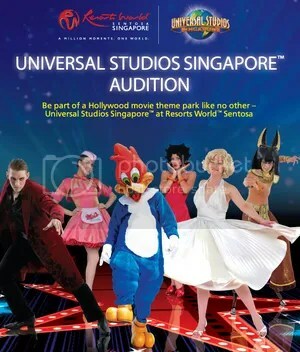 Videotaped auditions are also being accepted from talent who can not travel to the auditions.